For various reasons, I’ve always had an interest in the legendary King Arthur. In part it’s because of my family name: Campbell. Some traditional medieval genealogies trace the Scottish highland clans of MacArthur and Campbell to a certain Smervie who is said to have been a descendant of King Arthur. But, now they tell me Camelot exists. It’s real and it’s in France. King Arthur supposedly ruled what is now Britain in the late 5th and early 6th centuries and according to medieval histories and romances, led the defence of Britain against Saxon invaders in the early 6th century. 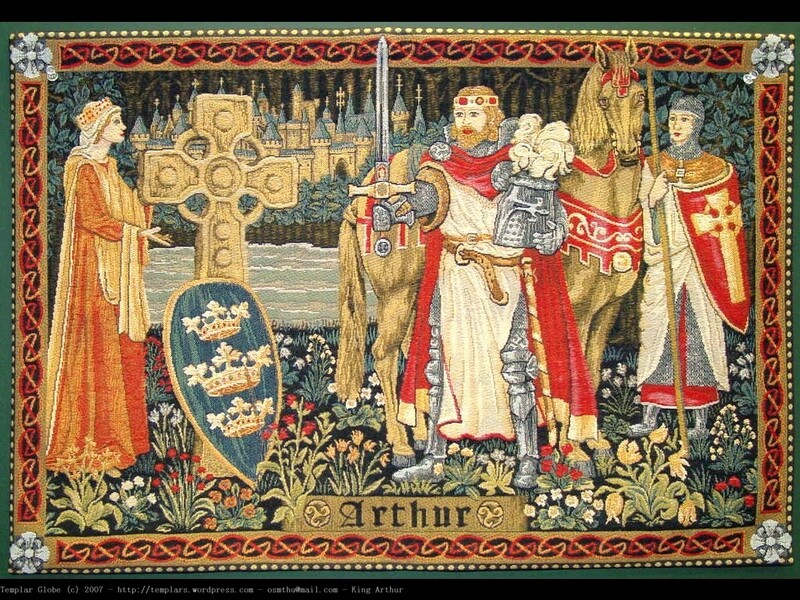 The details of Arthur’s story are mainly composed of folklore and literary invention, and his historical existence and the Knights of the Roundtable, are still debated and disputed today. The British Royal family has long tried to claim descent from King Arthur to bolster their claim to the throne, particularly through the Plantagenets, but the genealogy experts say any possible claim might more likely be through the Tudors because of their Welsh origins. While the Tudor family’s connection to King Arthur, like the Campbell’s, remains unconfirmed, they certainly took full advantage of the possibility, beginning with the first royal Tudor, Henry VII, crowned in 1485. The name Campbell , which means crooked mouth in Keltic, is ancient, with first written references to the family dating from at least the 1250s, on that there’s lots of agreement, but those references are 600 years after the supposed reign of King Arthur. 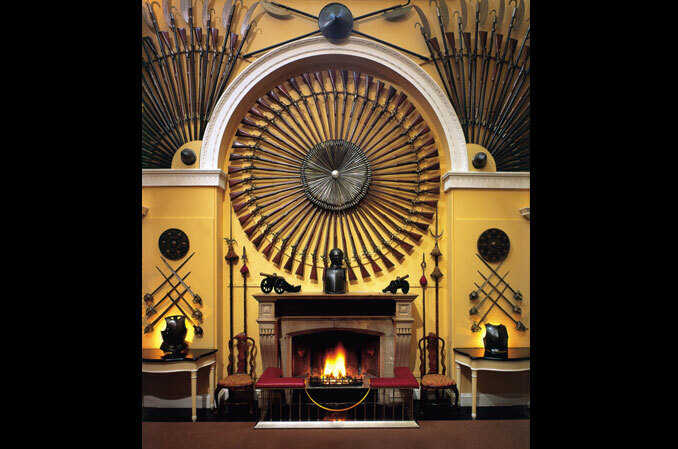 Meanwhile, the clan has long been one of the largest and most powerful in the Scottish Highlands. They are among the early founders of today’s “Black Watch,” protectors of the royal family, with whom my American father served briefly during WWII at Buckingham Palace, perhaps because of his family name. The origin of the Campbell family name, as well as of the identity of the founder of the family, remains misty, however, a matter of much debate. The real history has been a source of childhood wonder for me and my siblings. Attempts by others to figure out my family’s connection, if any, to half-mythical King Arthur have come to conclusions as tenuous as the Tudor claims of descent from the same source. The current British royal family’s ties to the crown appear equally shaky. They wedged themselves in through connections to Hanovarian Queen Victoria and her German husband, Albert of Saxe-Coberg and Gotha. But, I would add, their daughter Princess Louise had the good sense to marry John Campbell, the Marquess of Lorne and future Duke of Argyll in 1871, which meant she married beneath her station, causing whispers in in court. The Victorian royal family later changed its name to the more Anglo sounding “Windsor” because of anti-German sentiment in Britain during WWI. As you can see, trying to trace these things to any point of firm conclusion is complicated. • The reality Toward the end of the Roman Empire, circa 450 AD, Arthur Riothamus, King of the Britons, was hired by the Romans to fight off invading Goths and Visigoths. There is documentation from multiple sources that Arthur spent a lot of time in Burgundy, France. He died after a battle near Bourges and was taken by his men to Avallon in France, a town that had existed for centuries. This is fact, not fiction. • Avalon While many people believe the mystical Avalon of Arthurian legend was in England, perhaps near Glastonbury, there is no record of a place called Avalon in that country.The Avallon region of France, however, has long existed. It was and still is known for its fruit trees and vines, much like the lush island of legend. • Camelot While many presume Camelot was in England, the extraordinary discovery in 2007 of the remains of an ancient community on Mont Lassois in France makes Stanfill wonder if this was actually the true Camelot. The community is near Avallon, and among the buildings unearthed there appear to be the remnants of a palace, including a great hall, where there is evidence of feasting. The citadel of Latisco on Mont Lassois — a site of palatial buildings unprecedented in the Celtic world – is not far from Avallon. Arthur Riothamus’ time in Burgundy is documented, and we know that the first person to write about Arthur was the bard Chrétien, who lived in the area. This place is exactly as he described it: ‘on a hill, a place by a river, surrounded by forests, with plains beyond.’ Terry Stanfill may well have it right. 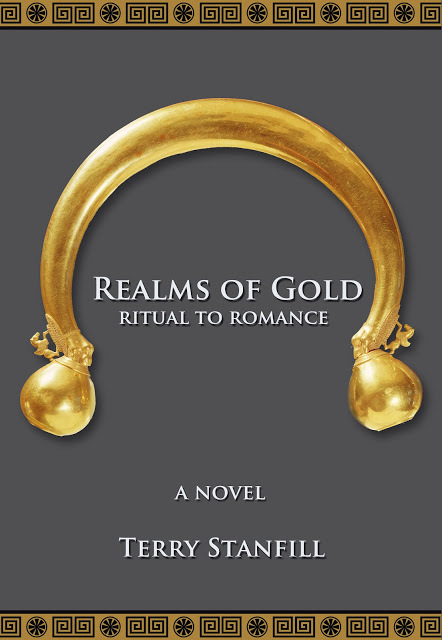 Terry Stanfill holds a degree in English literature with a minor in medieval history. She is an Overseer of the Huntington Library in San Marino, Calif. An enthusiastic preservationist, she was decorated by the president of Italy with the Ordine al Merito, Cavaliere della Repubblica Italiana, and more recently as Commendatore, for her fundraising efforts for the restoration of San Pietro di Castello, the ancient cathedral of Venice. 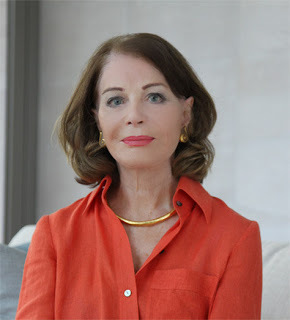 She is a former international representative for Christie’s auction house and former director of Norton Simon Museum in Pasadena, Calif. “Realms of Gold: Ritual to Romance” is her third novel. Her first two are “The Blood Remembers” and “A Tale of the Fortuny Gown.” Stanfill is married to Dennis Stanfill, former CEO of 20th Century Fox and MGM Studios. Whatever the facts might be, the legend of Arthur and his knights, of Lancelot and Guinevere, and of Camelot as a place of perfect beauty and civility, lives on in people's imagination. Like Merlin, their origins are clouded and their true existence hidden. They are better as stories than as history. I agree that that the romance of myth sparks imagination, but I'd like to be at the citadel of Latisco on Mont Lassois to see what they turn up. I'll keep my eye on this dig, but don't expect they'll find the Holy Grail. Thanks for the comment.